Every landlord wants to find the perfect tenant for their rental property, one who pays the rent on time, takes care of the property and does not cause any kind of trouble. However, finding, screening and selecting such a tenant is not an easy task. 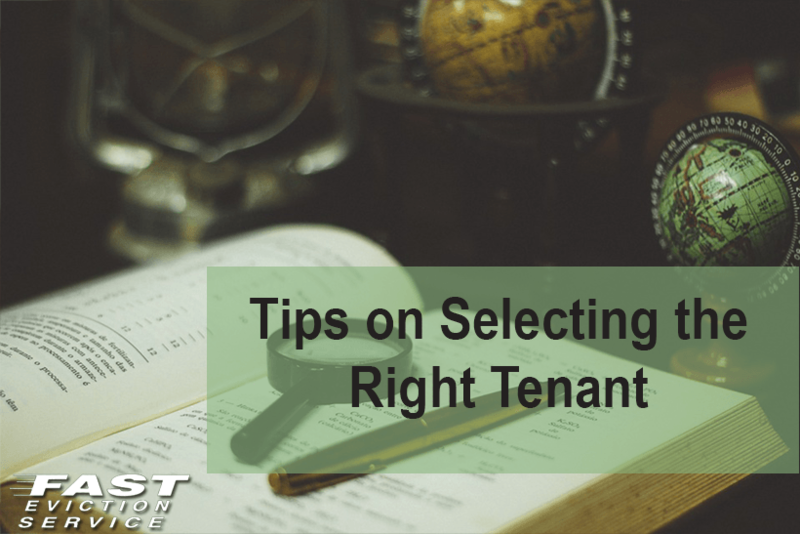 You have to assess a number of different things before you can finally find a tenant that’s the right fit with your expectations. The following are some tips that can prove to be of great use to you when searching for the best tenant for your rental property. When selecting a tenant for your rental property, it is important to ask each one to submit a rental application which contains their employment and rental references. You will then have to scrutinize the references that have been given by each rental applicant. Call the employment references submitted by the potential tenant and ask them about the employment history of the applicant. They will provide you a great deal of information regarding the financial background of the applicant and also about their personality as a renter. Just like the employment references, you will have to scrutinize the rental references submitted by each applicant too. Call the referenced person yourself and inquire about the rental history of the applicant. Try to find out if the applicant has paid their rent on time or has had troubles with their previous landlords or been evicted in the past. This will give you a good idea of the character of the tenant applicant and if they have any issues that you need to know about. Checking the credit history of the applicant is also an important task. You have to make sure that the tenant you want to rent your property is capable of paying the rent or not. The credit history is going to shed light on the financial stability of the applicant. You can ask the applicant to provide their credit history to you along with their rental application or you can find out about it yourself. Another excellent way of judging the personality of a tenant is to meet them in person. Arrange a face-to-face meeting with your potential tenant and see for yourself how he/she carries themselves. Some of the things that you can gather by personally meeting an applicant are their self-confidence, punctuality and dressing sense. Meeting the applicants personally would also give you the chance to ask them any questions that are on your mind. No decision is more important to the success and profitability of your business as a landlord than attracting, screening and selecting the right tenants for your rental property. Minute for minute, the time spent interviewing prospective tenants has a tremendous amount of money and value riding upon you getting it right with effective tenant screening – or making expensive landlord mistakes that are time consuming and draining emotionally to turn around when they don’t work out. More than any single of your business, tenant interviews, screening and selection mean the difference between landlord success – or making expensive mistakes.